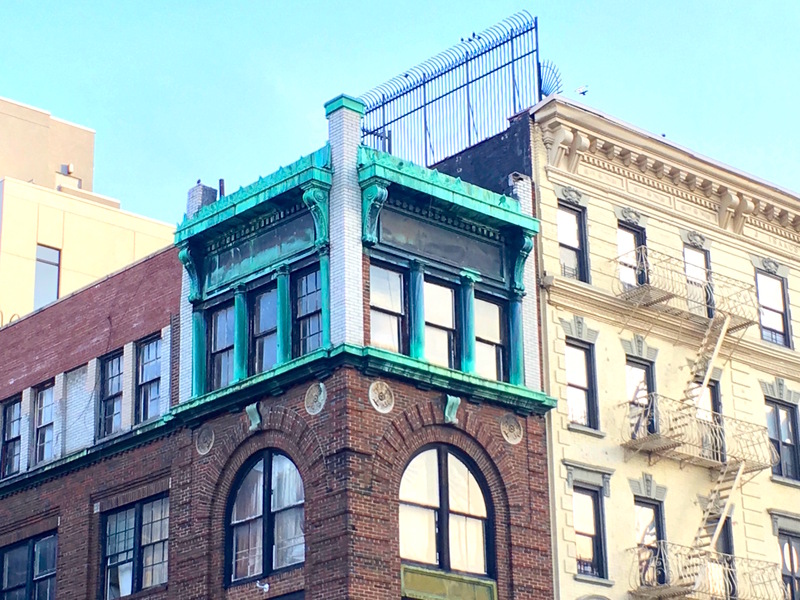 This entry was posted on February 4, 2019 at 7:09 am and is filed under Cool building names, Upper Manhattan. You can follow any responses to this entry through the RSS 2.0 feed. You can leave a response, or trackback from your own site. 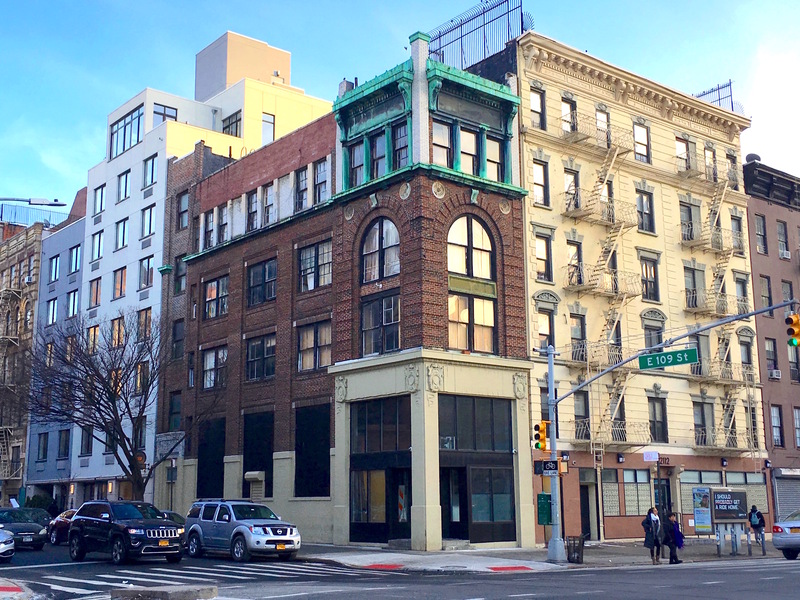 As struggling Italian immigrants who llived in Harlem at the turn of the century, right on Second and 109th, in fact, I bet my grandparents passed through those portals. Thanks, Esther! Wow, what a coincidence! 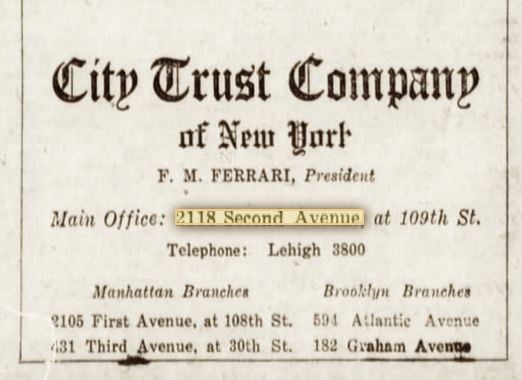 I wish we knew what they thought of Mr. Ferrari, I get kind of a sketchy vibe, but maybe he helped many immigrants save their money. I hope so! My grandparents managed to move to Westchester after the war so they must have saved some money! And my grandparents were Luigi and Carmela Pasquale from Calabria! I pass it often and I always think it would make a great hideaway. 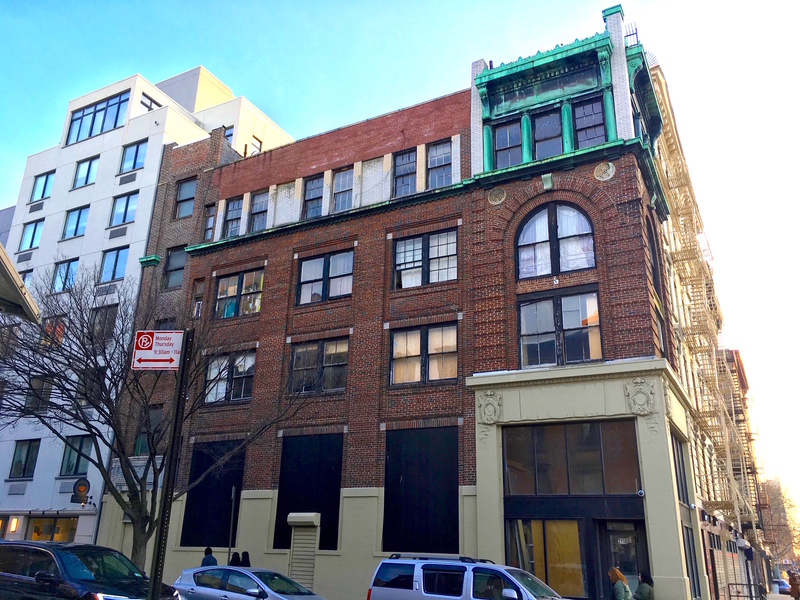 There was at least one earlier structure at this address, which was mentioned twice in stories 1906 in the New York Times. There’s a buildin on 2nd Ave at 116th that has writing showing it may have been an Italian business looking like a bank or loan company. Ut’s also on the SE corner. Next time I’m up at Target, I’ll check. Love the copper topper. 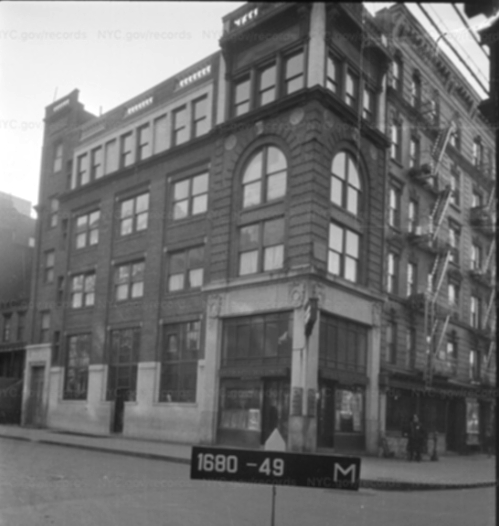 I think 116th Street was a main drag of Italian Harlem, so it wouldn’t surprise me that an old bank building would still be there. Indeed it was! And the heart of the community was the Church of Our Lady of Mount Carmel, where my grandparents worshipped. I went to elementary school across the street. 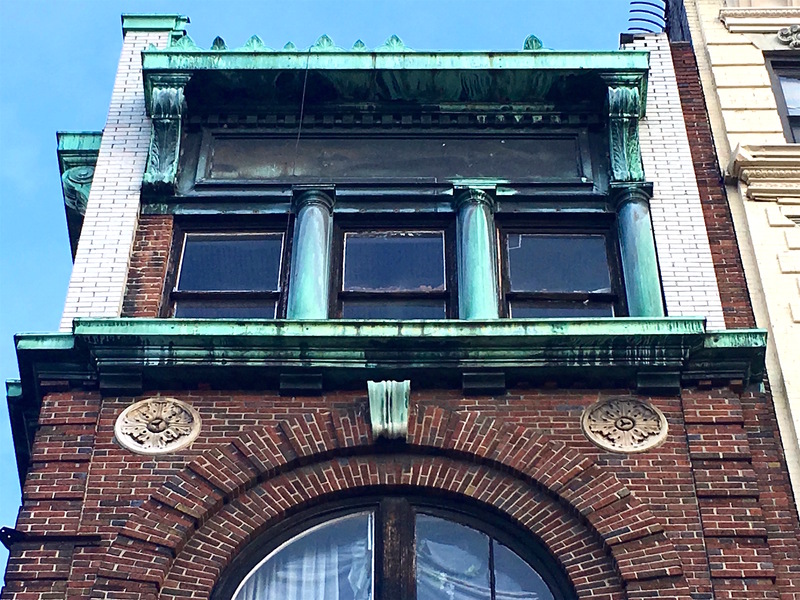 In those days, the building had the words “REAL ESTATE” attached to the façade, so I imagine it may have once been a real estate firm office after it was no longer a bank. However I can’t know for sure, cause despite having those words on the front, it seemed vacant whenever I saw it. It’s been vacant for a good decade, I believe. I’m in that neighborhood every few weeks or so and have never seen any signage. I currently live in the area… there seems to be a construction company that operates out of the store front… The residential entrance is on 109th and active. Thanks for the info Soringsinple! This amazes me, and I’ve seen this before in NYC. A well built old building sits empty for years. Who owns them and why are they empty for years. They must be very wealthy.